a lighter meal is on the menu today. This recipe is one I have made many times. often consumed over the holidays. which is a white fish similar to cod. 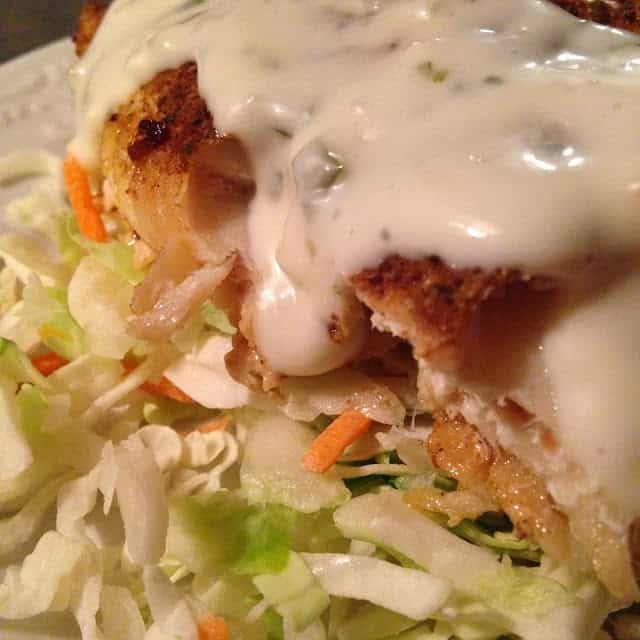 then topped with a seafood tarter sauce. 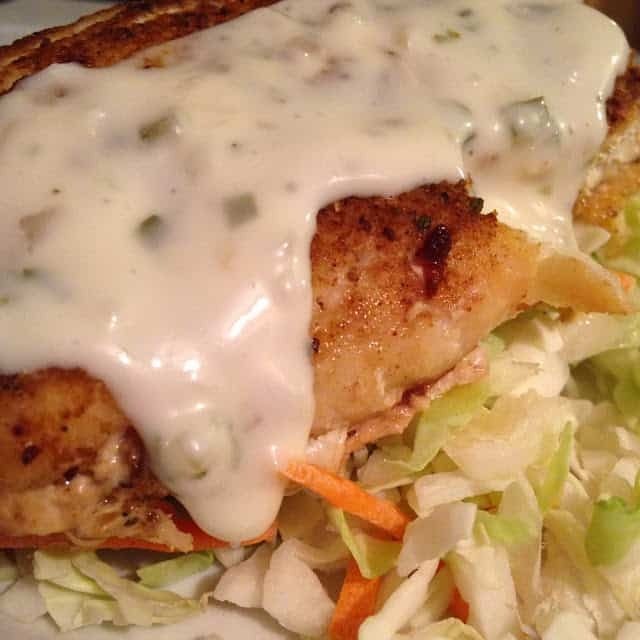 you’ll have a nice, light and easy fish dinner. Heat oven to 375º Drizzle oil over the bottom of a 13 x 9 baking dish. 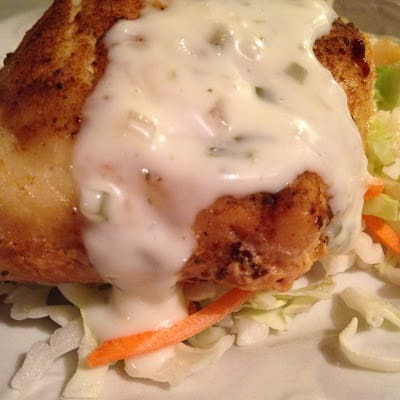 Place haddock on top of oil. 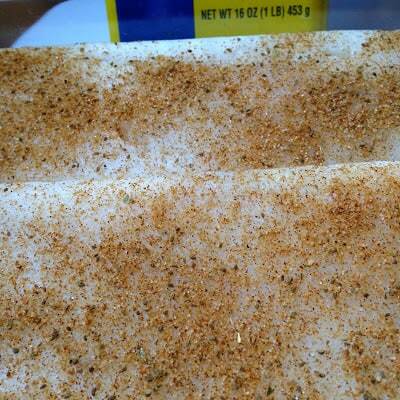 Sprinkle 1/2 teaspoon old bay seasoning over each haddock serving. Cover with tin foil. 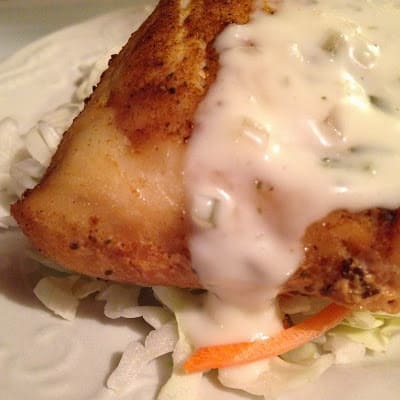 Bake for 1 hour or until fish flakes easily with a fork. Meanwhile, put potatoes in a medium saucepan, cover potatoes with cold water by 2 inches. Generously salt water, bring to a boil over medium-high heat, boil the potatoes until fork tender, about 15 to 25 minutes. Drain potatoes. Place potatoes in a serving bowl, drizzle with melted butter, sprinkle with chives. 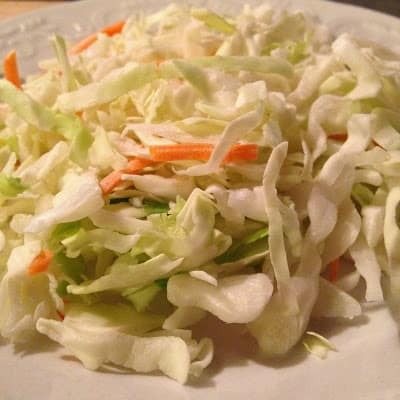 Place coleslaw on each serving plate. 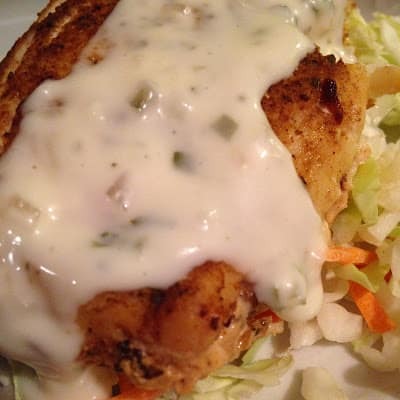 Top with a serving of haddock. 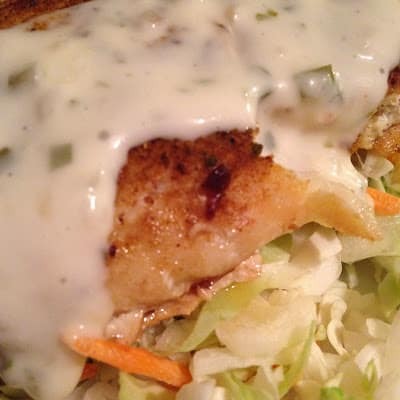 Top haddock with tarter sauce. Serve with boiled red potatoes. Bake a few extra pieces of haddock to make Fish Chowder. 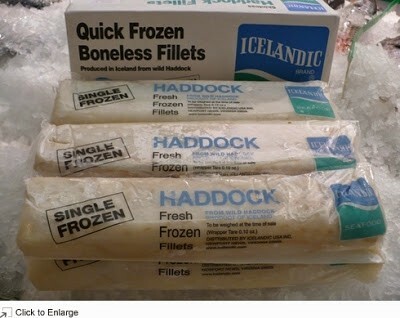 I can't even remember when was the last time I had haddock. Now you make me want to go shopping 🙂 it looks so good!